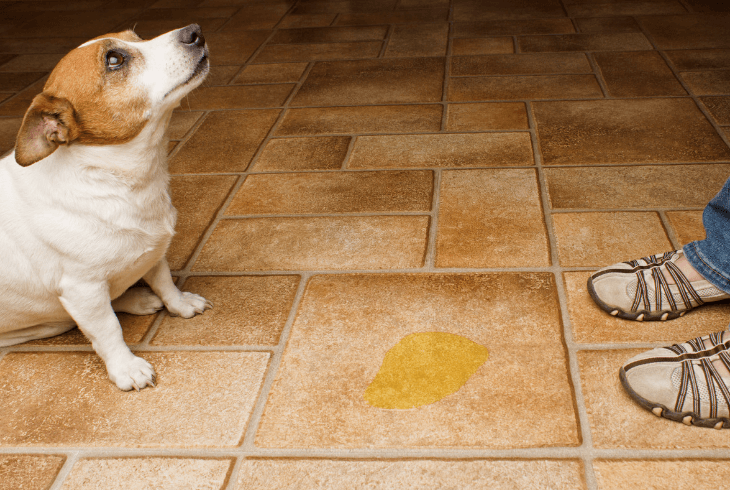 Does your dog pee as soon as you enter the house? Or maybe he pees when he sees a friend or family member as well. Are you puzzled why this is happening to your pooch, as it usually occurs when your dog is very happy, even when wagging its tail. What’s the connection between your dog peeing and happiness? Well, in the majority of cases, it's called excitement urination. In other words, your pup is so happy and excited to see you, that it can't control its bladder. Fortunately, there are ways to address excitement urination in dogs and we're going to do our best to lay them out for you in the following lines. Before you get to the part where you correct this kind of behavior, you first need to identify the cause that leads to it. If you have a young pup, you should know that due to its age the dog doesn’t fully or properly control its bladder. Yes, it can be quite frustrating, but you just need to have a bit of patience. Taking into consideration the physical development of your dog, house training should be complete around the age of 6 months. If your dog is younger than 6 months, it is probably too young to know how to effectively stop its bladder. Of course, even after the age of 6 months, there can still be accidents. This happens in the case of overly excited pups, as they tend to forget about themselves and just relieve their bladder when they are too happy. 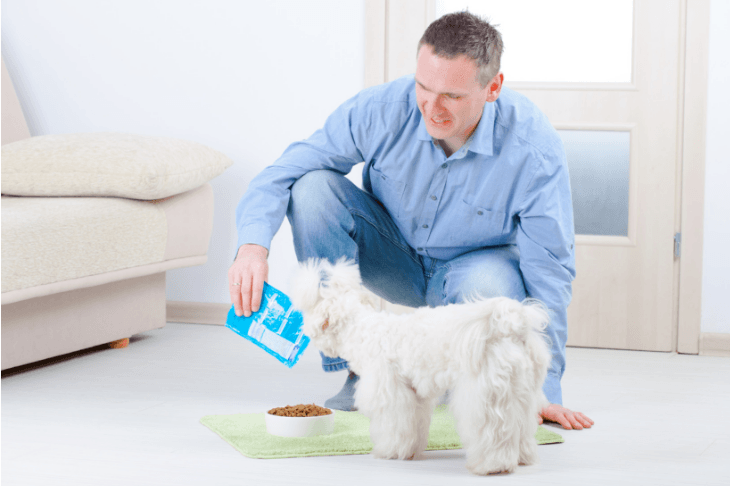 Therefore, until your puppy gains full control of its bodily functions, it's recommended to teach the dog to use absorbent pads, specially designed for dogs, and limit its access around the house. 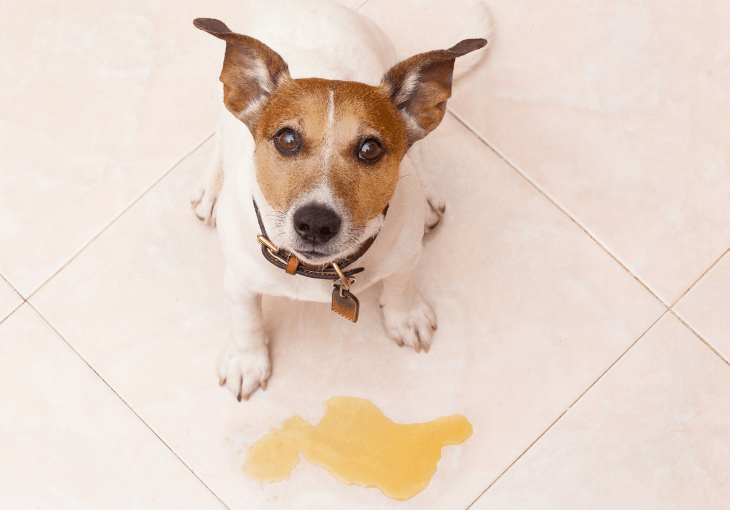 How to Avoid Excitement Urination In Dogs? If your dog urinates when it's in an excited state, it should be fairly easy to identify the trigger. A dog suffering from excited peeing will either urinate at the sight of its owner, when it is playing, or when unfamiliar people come into your home. If this is the case, arm yourself with patience and start working on getting rid of this unwanted behavior. When you return home after being gone for a couple of hours, avoid eye contact, saying anything, or touching your dog. Enter the house with a calm and relaxed state of mind and do not give your dog any kind of attention until he calms down. The idea is not to encourage this over-excited behavior. Play with your puppy outside or in an area padded with newspapers or absorbent pads, so that if accidents happen, it won’t be such a big mess. 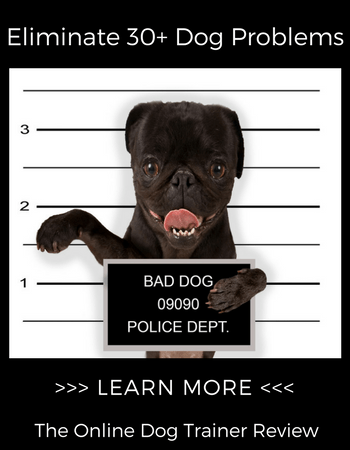 When accidents do happen, do not punish your dog or yell at him. Just clean the area quietly, using special cleaners that will remove the stain and odor. When your puppy urinates in the desired spot, like outside on the grass, make sure to praise him and even offer treats. This will encourage the good behavior and soon your dog will learn that this is what you expect him to do each and every time. Also, do the same when the puppy uses the absorbent pad or special potty tray. This way, you can be sure that your dog will know where to go if it needs to potty and you’re not at home to take him out. It would be ideal to have a schedule when serving your dog its meals. In the case of young pups, they usually need to potty approximately half an hour after they eat. Also, a small puppy will need to urinate immediately upon waking up and after a play session. Keeping these tips in mind will let you know when it’s time to take your dog out for a potty. This way, you allow your dog to empty its bladder in the right places and avoid unwanted accidents in the house. It's hard to know when your dog needs to go if it eats chaotically. However, there are signs indicating that your dog is looking for a place to do its duty. Such as, whining, spinning around in circles like he is looking for something, or sniffing around the house in a rather restless manner. When you notice these signs, it's time to take your pooch somewhere that he can relieve himself. When dealing with excitement urination in dogs, every person that enters your home will need to know the rules. This means no eye contact, no talking to the dog, and no touching it until it reaches a calm state. If you’re the only one respecting these rules and the others break them, it will be very hard to correct your dog’s behavior. So, make sure you talk to your family members and brief your friends and visitors about the behavior they should adopt. Besides puppies, small dog breeds tend to show excitement urination, due to the fact that they are more coddled than the rest of the dog breeds. Thus, it's important for everyone to follow the same strategy if you’re looking to solve excited peeing in your dog fast. Unfortunately, there are cases in which a dog cannot control its bladder due to various health issues. A urinary tract infection, for example, is one factor that can lead to uncontrolled urination. Cystitis and bladder stones can do the same, as they create discomfort and pain if the dog does not pee. Illnesses like diabetes and kidney problems are also factors that can trigger urination in inappropriate moments. 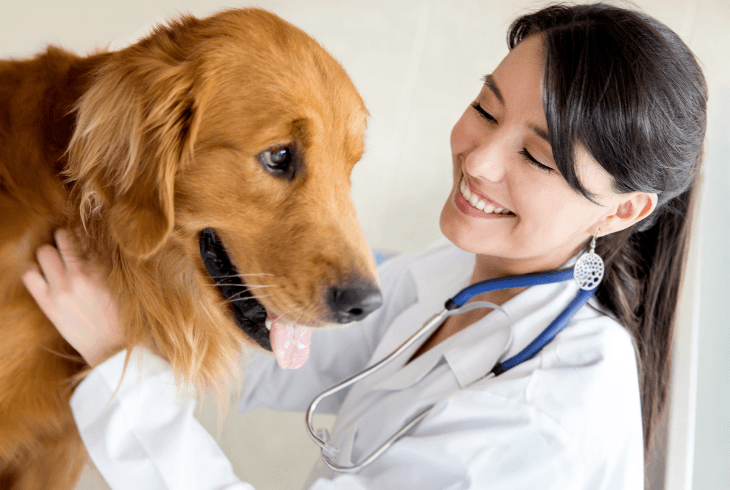 So, it would be ideal to take your dog to the vet to rule out any potential health issues. This is even more recommended if you have an adult dog that didn’t present urination problems until recently, as it may indicate a health condition. Now that you know what to do in case of excitement urination, you are indeed prepared to welcome a new puppy into your family. To make sure you avoid any unwanted health issues, choose to get your puppy from reliable breeders only. 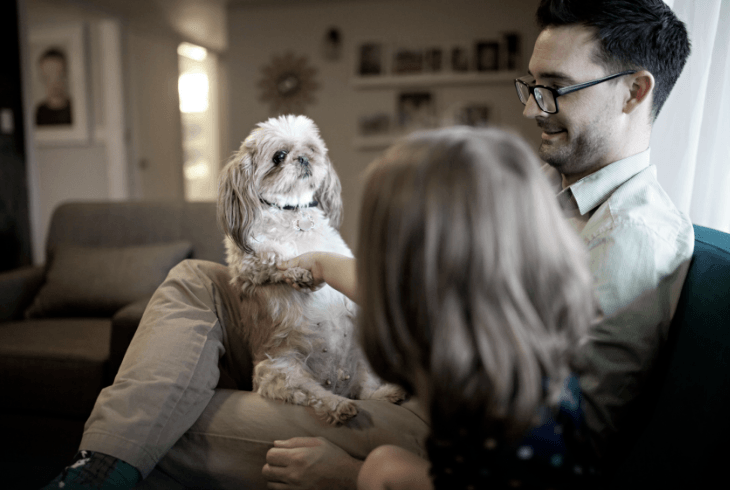 Premier Pups carefully selects every breeder with whom it collaborates, so that future dog owners will truly enjoy a happy and healthy puppy as the new member of their family. About the Author: Troy Clements works as a Marketing Specialist for Premier Pups. He takes great pride in partnering with the best certified breeders in Ohio to offer the highest quality, cutest puppies for adoption. He looks forward to sharing his love for pets with people through the agency.